Whew! The Symposium was exciting, intense, tiring and very inspiring. 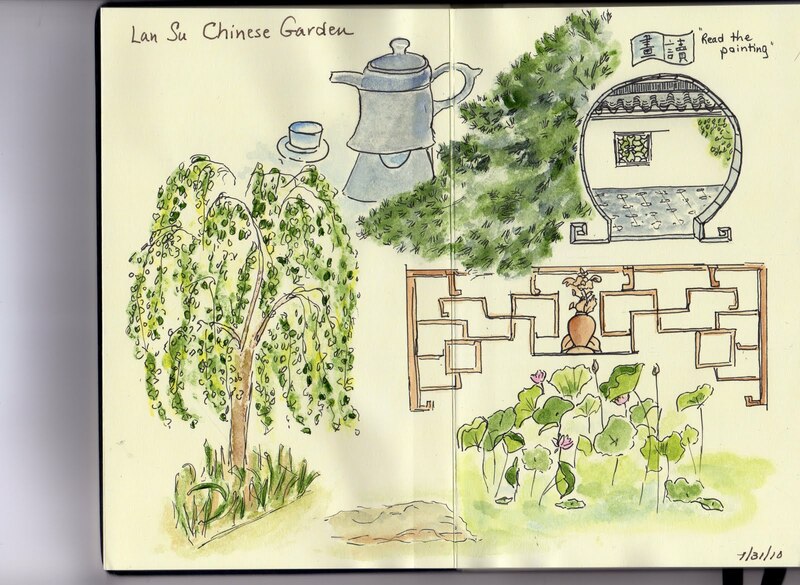 Many talented people who were thrilled to be with so many others who also understand the joy of sketching. When we looked at the work displayed on the last day, there was that delightful recognition that we all had been in similar settings but expressed them in so many different ways. Many thanks to Gabi for organizing it all and the amazing instructors and correspondents, some of whom came many, many miles to be there. Here are a few of my sketches. Portland was a perfect setting with endless possibilities. Yes, indeed, Susan and I did sneak off for a visit to the Lu San Chinese Garden and it was exquisite. I settled for trying to capture the mood. 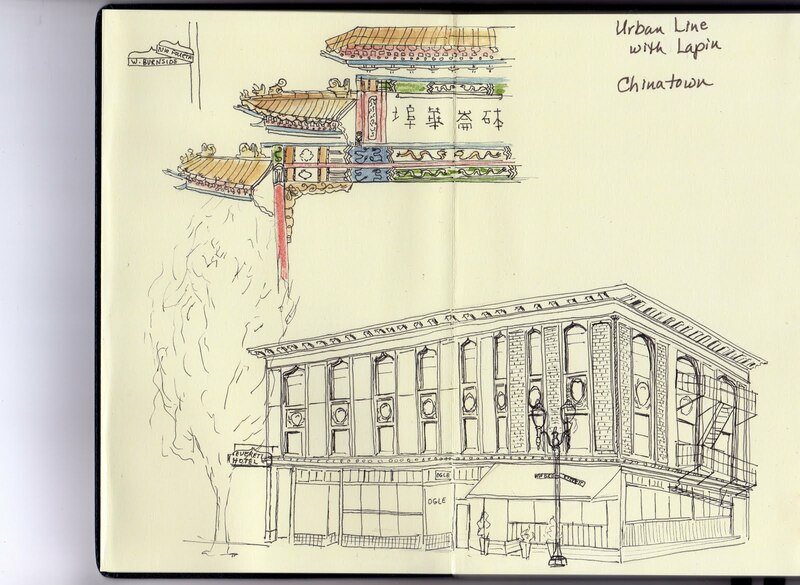 And this from a session on urban line drawing with Lapin in China Town. 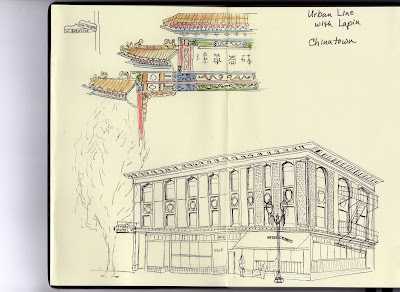 My lesson from the urban architecture session with Frank -"Think about foreground." Peggy, these are great. Outstanding Asian architecture and my favorite is the water tower perspective. 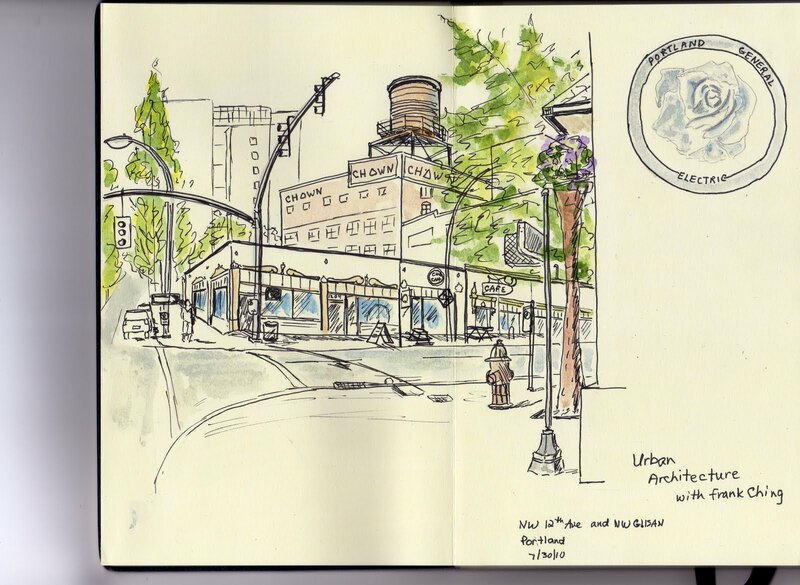 Great sketches. Indeed the last one you did had more foreground and you captured a greater sense of space! It is just like being there. It was great to meet you Peggy! 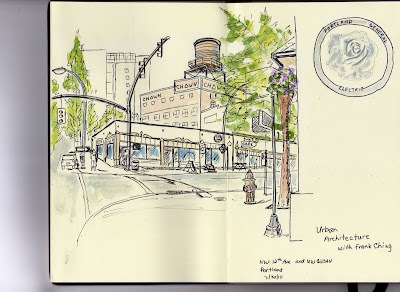 Hope to come and sketch with the Seattle Urban Sketchers soon. that water tower is so special, as is portland! wonderful sketches, Peggy!!! thank you for sharing the pleasure with us here! Thank you all! The symposium was so challenging and encouraging. I hope you can each go some day. See you all soon.